World famous Big Rick’s Bar-B-Q Sauces, with their big taste and big smooth textures, are now available online in Australia. Made from top quality ingredients and gluten-free, our big tasting BBQ sauces are based on award-winning recipes from US sauce-maker Rick Doty … Big Rick himself! You can trust our sauce range remains authentic to the original legendary recipes, and yet tastes gentler for your Australian taste buds. 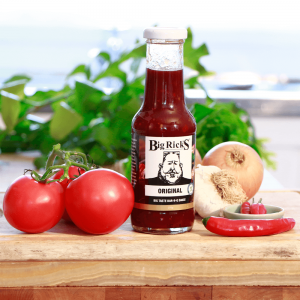 Big Rick’s four big flavoured barbeque sauces continue to bring their big luxurious taste and texture to your chosen cut of meat, poultry, fish or vegetable favourites. Perfect for those who love all the flavours, the mixed pack includes all four of our famous sauces… Original, Honey, With a Bite and Hot As Bar-B-Q Sauce. 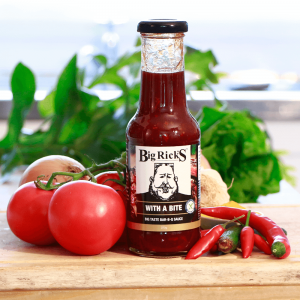 The original flavoured BBQ sauce from Big Rick offers a big feel tomato-rich taste and texture, a uniquely big smokey flavour, with a hint of Asian spice. Honey Bar-B-Q Sauce is based on the original BBQ recipe with the added velvet smoothness and sweetness of rich-tasting Australian honey, chosen for its rich colour and flavour. 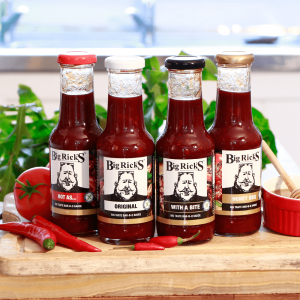 Kick it up a notch with a barbeque sauce based on the Original recipe, with it’s big smokey, tomato flavour plus a hint of Chipotle chilli to give it that little bit of ZING! For those that like it hot, but still want that big flavour, Hot As Bar-B-Q Sauce includes an American-style shot of Habanero chilli. 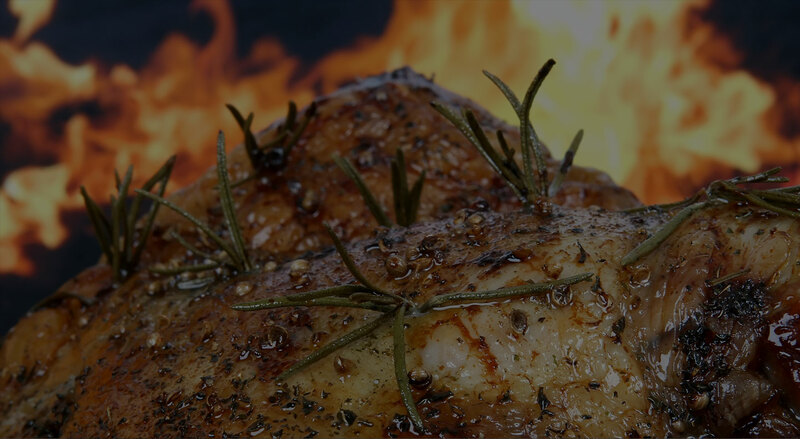 Our sauces are great on steak, veal, pork, sausages, chicken, duck, fish, other seafood, veggies, sandwiches, burgers, pies, as a pizza base sauce and, naturally, on all things BBQ including RIBS, RIBS, RIBS! The good news is they're GLUTEN FREE! We deliver Big Rick’s using the Fastway Courier service. All orders will include postage costs. The good news is it’s GLUTEN FREE! molasses, water, sugar, salt acidity regulator (260), caramel, tamarind, spices), brown sugar, Chilli Sauce, (water, sugar, vegetable gum (415) acidity regulator (260); chili powder, garlic powder, salt, onion flakes - dehydrated, Hickory Smoke Flavour (water, hickory smoke flavour, vinegar, hydrolysed soy protein, sugar, caramel, spice), Garlic - dehydrated, spices Contains traces of soy protein. The mildest of our sauces. Honey Bar-B-Q Sauce is based on the original BBQ recipe laced velvet smooth, sweet and rich-tasting Australian honey, chosen for its rich colour and flavour. Loved for its delectably rich honey tang, Big Rick’s Honey BBQ uses pure Australian high-grade honey made by the Sunshine State’s quality bees. The sweetest sauce in the Big Rick’s range, it’s a favourite with kids and the sweet-toothed alike. 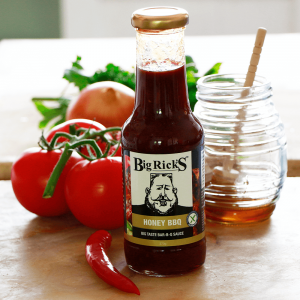 Beneath its Apple Gum honey sweetness lies a rich base of full tomato and smoky-wood flavours from the award-winning recipe of our legendary Original Big Rick’s Bar-B-Q Sauce. A must try as a dipping sauce and marinade straight from the jar. Honey Bar-B-Q works as brilliantly for budget cuts as for premium grades of meat. It’s equally tasty with poultry, seafood and veggies. And of course, it’s fabulous with all things BBQ including RIBS, RIBS, RIBS! To meet your dietary concerns and love of good eating, all our sauces are made with GLUTEN FREE ingredients! Ketchup (tomato paste, water, sugar), Worcestershire sauce (ingredients: molasses, water, sugar, salt acidity regulator (260), caramel, tamarind, spices), brown sugar, honey (5%), Chilli Sauce, (water, sugar, vegetable gum (415) acidity regulator (260); chili powder, garlic powder, salt, onion flakes - dehydrated, Hickory Smoke Flavour (water, hickory smoke flavour, vinegar, hydrolysed soy protein, sugar, caramel, spice), Garlic - dehydrated, spices. Contains traces of soy protein. Ketchup (tomato paste, water, sugar), Worcestershire sauce (ingredients: molasses, water, sugar, salt acidity regulator (260), caramel, tamarind, spices), brown sugar, Chilli Sauce, (water, sugar, vegetable gum (415) acidity regulator (260); chili powder, garlic powder, salt, onion flakes - dehydrated, Hickory Smoke Flavour (water, hickory smoke flavour, vinegar, hydrolysed soy protein, sugar, caramel, spice), Chili - Chipotle, Garlic - dehydrated, spices. Contains traces of soy protein. With its Original sauce as a foundation, Big Rick’s Hot As BBQ Sauce brings in a new big flavour powerhouse ingredient to the mix. Habanero chilli. In the States, this ‘chilli pepper’ is renowned for bringing serious heat and serious flavour to many a favourite dish. Yet don’t let that put you off! Our recipe is mindful of your tender Australian taste buds, and we’re very sparing with this lovely hot little chilli. Our sauce maxes out that Big Rick’s taste people crave while giving you a perfect shot of heat for that perfect hot sauce. This hot sauce goes with all things barbecue, and indoor cooking too, as a dipping sauce or marinade, perfect for meals like casseroles, grills and stir-fries. 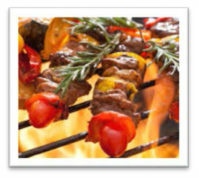 Mouthwatering on steak, sausages, in fact, beef generally as well as chicken, duck, pork, seafood, vegetables, sandwiches, burgers, pies. 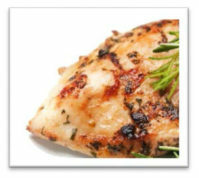 Use it as a pizza base sauce, and of course on great barbecue dishes like RIBS, RIBS, RIBS! Did you know all our sauces are GLUTEN FREE? molasses, water, sugar, salt acidity regulator (260), caramel, tamarind, spices), brown sugar, Chilli Sauce, (water, sugar, vegetable gum (415) acidity regulator (260); chili powder, garlic powder, salt, chili - Habanero, onion flakes - dehydrated, Hickory Smoke Flavour (water, hickory smoke flavour, vinegar, hydrolysed soy protein, sugar, caramel, spice), Garlic - dehydrated, spices. Contains traces of soy protein. We deliver Big Rick’s using the Fastway Courier service. All orders will include postage costs. Stocked only by Independent Butchers around Australia and now online. We’re proud our sauces come to you from legendary award-winning recipes. They have humble beginnings where a solo sauce making genius in the US, by the name of Rick Doty, created them from scratch. He’s our inspiration! 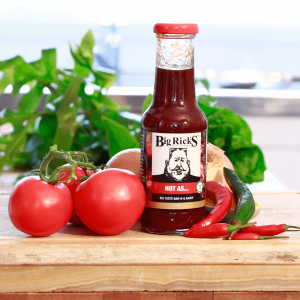 For all you BBQ lovers, foodies, gourmet and plain wholesome eaters, whether you use Big Rick’s BBQ Sauces as a dipping sauce or a marinade straight from the jar, here’s introducing our range to you as a Big Rick’s Down Under customer online! Big Rick’s continues to sell to you, our independent Australian butchers, exclusively and are not available through supermarkets or franchises. Now we’re also making it easier to become a reseller and order online! Our digital order form is butcher-friendly, so if you’re not yet a reseller, why not apply to become one today?. Buy local and support the independent butchers in your area. With 38 people coming for dinner, a prospective customer from St Ives, Sydney said on calling to order Big Rick’s "I would not dream of using another marinade darling. I just had this amazing sauce on a curry meat pie on the weekend and I died and went to sauce heaven... Lol! Where can I buy a ten-tonne truck full? Best sauce ever! I had a pizza shop in Windang and we started using it 4 our bbq meat pizza. Sales went up by over 50% and amazing on our t-bones! We’ve always been gluten-free, but we understand that sometimes having the data to support the claim is more meaningful for those customers who have a serious gluten intolerance or who are Coeliac. Create your own family-friendly (and gluten-free if needed) meatball sensation with our new recipe – Meatballs cooked in BBQ Sauce. Make it spicy by using Hot As, or mild and tasty with Big Rick’s Honey BBQ sauce… the choice is yours. Add your choice of sides for a dish that can be eaten any way you like! 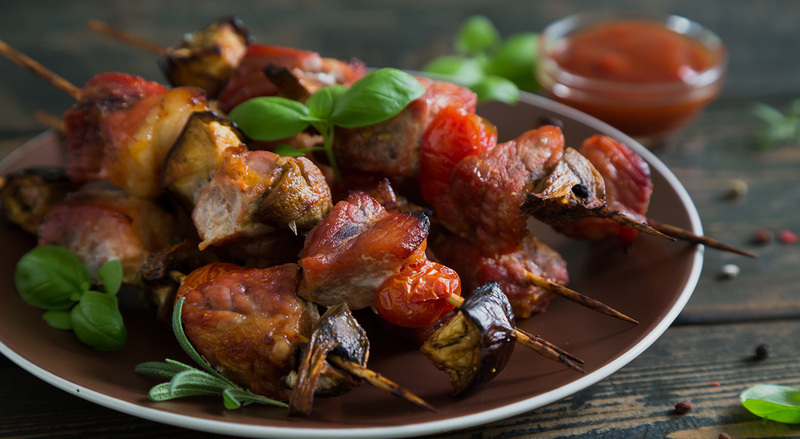 For big tasting BBQ, yet quick and easy to make, chicken kebabs that are gluten friendly, use Big Rick’s BBQ Sauce as a delicious glaze! Winter has come, but that doesn’t mean you can’t BBQ! Keep warm this winter with a Big Rick’s pulled pork burger (using your favourite Big Rick’s BBQ Sauce) – guaranteed to warm you up! Planning Christmas lunch? Why not roast a Big Rick’s Roast BBQ Chicken? Try out the easy recipe this Christmas. 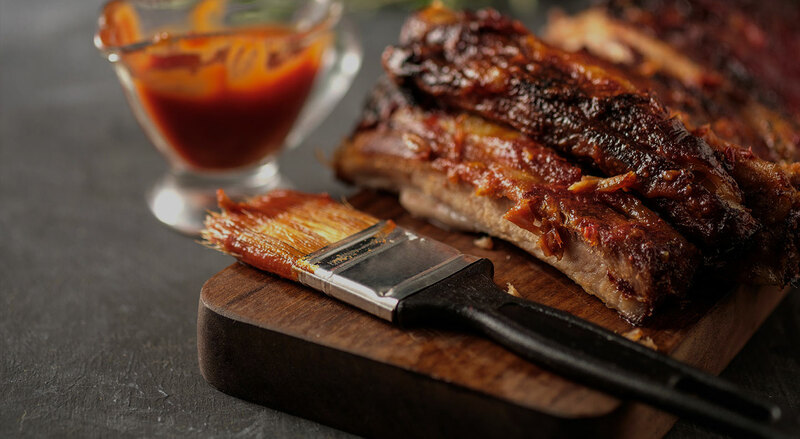 Make your own mouth-wateringly delicious smoked BBQ ribs. Why are people getting hooked on Big Rick’s BBQ Sauces? Yes, it’s true. If you’re a fan, you’re not alone. 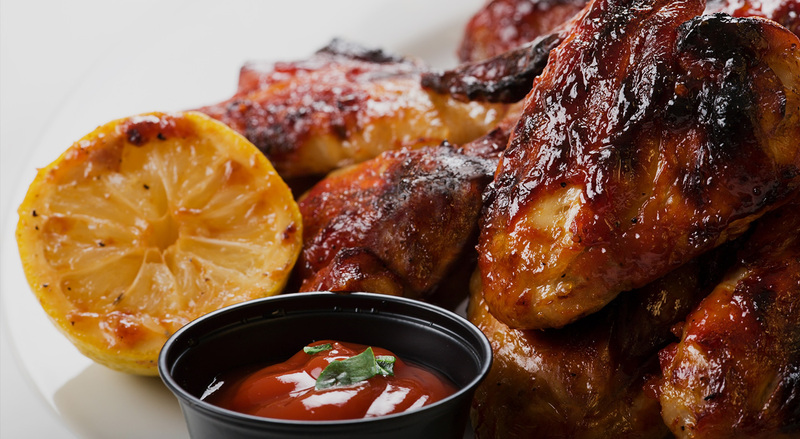 Just what is it that makes our BBQ sauces so special? 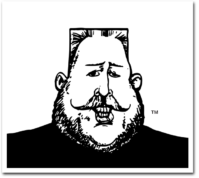 Just why is it that Big Rick’s Bar-B-Q sauce is a stand out BBQ sauce range? Find out what sets us apart from other BBQ sauces. Read more. © 2017 Big Rick’s All rights reserved.